Due to illness, guest soprano Susan Gritton has withdrawn from this Saturday’s performance of Beethoven: The 1808 Vienna Concert. 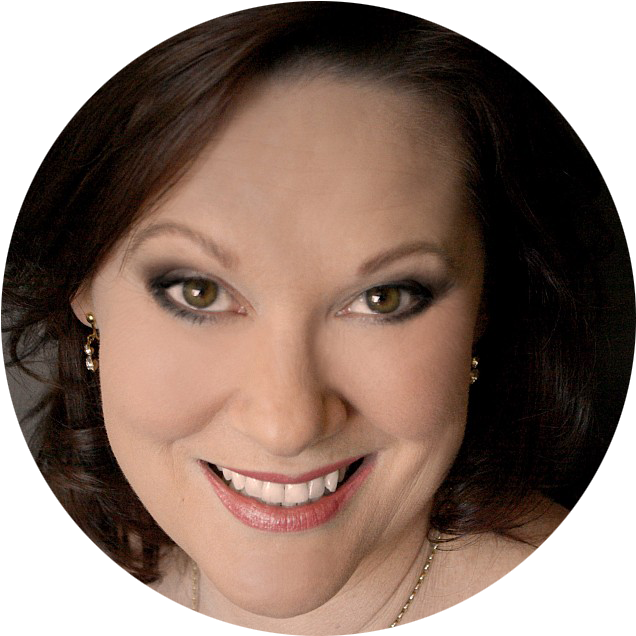 Australian soprano Jacqueline Porter (who was already performing in Choral Fantasy) has generously taken on Susan’s role in both sections of the Mass in C (Gloria and the Sanctus). Jacqueline is one of Australia’s most versatile classical artists, well known for her musicianship and sensibility of interpretation combined with a voice of natural warmth and beauty. 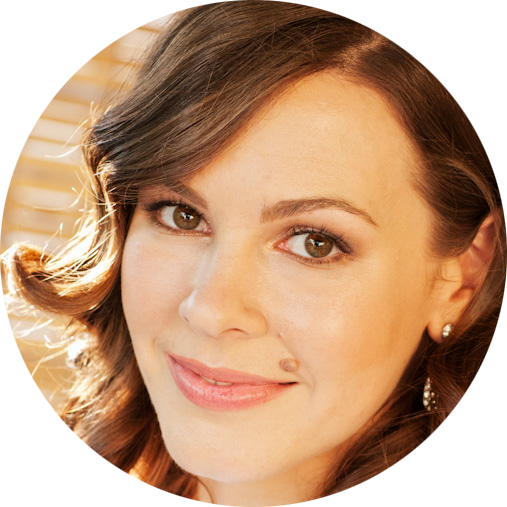 She has performed principal roles for Victorian Opera and State Opera South Australia and appears regularly as a soloist with the major orchestras and chorales in Australia. We are pleased to introduce Elisa Wilson, who has kindly stepped in to join the Orchestra this Saturday to perform the dramatic solo aria Ah perfido! and the finale, Choral Fantasy. Elisa has been a regular soloist with Opera Australia and the major opera companies and symphony orchestras in Australia, New Zealand and Asia. Her roles have included Norina (Don Pasquale), Adina (The Elixir of Love), Musetta (La bohème), Marguerite (Faust), Alice Ford (Falstaff) and two world premieres – Nanette (The Eureka Stockade) and Heloise (Heloise and Abelard). She has also sung Helena in A Midsummer Night’s Dream performing for the Edinburgh Festival. Other highlights for Elisa include Mahler’s Symphony No.8 in Macau, Beethoven’s Symphony No.9 throughout Japan and a number of appearances with the West Australian Symphony Orchestra. The programme that Ludwig van Beethoven presented on 22 December 1808 at the Theater an der Wien has achieved an almost iconic status. 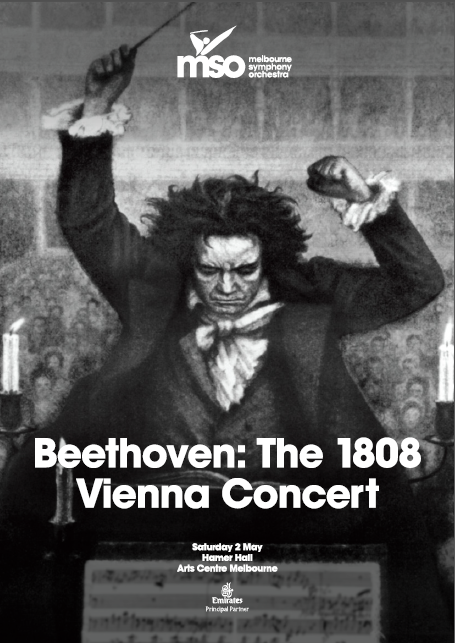 Not only was the event heavily debated in Beethoven’s own time, but even now, more than two centuries later, the programme is still being used as a text book example of overzealous concert programming in the nineteenth century. However, it is too easy to dismiss Beethoven as a madman. Closer examination reveals that there was method to the man’s madness. Even for a celebrated composer like Beethoven, this programme was a bold undertaking. Why would anyone want to subject his audience to nearly four hours of contemporary music, of which the ink was barely dry? Don’t get me wrong, audiences in Beethoven’s time were definitely used to longer concert programmes than what is considered standard today. Even so, these usually contained some ‘lighter’ and more entertaining works as well, during which one could converse with one’s neighbour, or walk out for refreshments. Beethoven however was not out to entertain his audience. He had only one goal from the outset: he wanted to demonstrate what his art was all about. The Sixth Symphony in F Pastoral, the Fourth Piano Concerto in G and the Fifth Symphony in C minor form the backbone of the programme. What strikes immediately is the sequence of keys; they form a perfect cadence with the subdominant F, moving to the dominant G, ending on the tonic C. But there is more. Performed in this order, the programme is held together by a firm dramaturgy. Beethoven’s Pastoral Symphony belongs to a number of works in the ‘Arcadian’ mode. The idea of the return to an Arcadian utopia permeated many art works of the period, including several of Beethoven’s own compositions (such as the Piano Sonata op.28 and the Violin Sonata op.96). The Fourth Piano Concerto starts off in the mythological Arcadia where Orpheus tunes his lyre. Already as early as 1859, this concerto has been linked to the Orpheus story. More recently the musicologist Owen Jander has given more evidence to support this theory and even described the three movements in terms of related scenes in the classical myth, which celebrates the almighty power of music. The Fifth Symphony, which followed immediately, is basically the alter ego of the Pastoral. Where the latter one could be described as predominantly static and Apollonian, the Fifth Symphony is dynamic, Dionysian, thrusting forward relentlessly from the dark and dramatic key of C minor to the ‘victorious’ C major. It’s the struggle and victory of a hero, or, in the words of some 19th century commentators: the search for the sublime. The concert aria Ah Perfido! is the only piece in the programme that Beethoven had written some years before. Was its inclusion an afterthought? The work is written in the popular opera seria style and introduces a second story from Greek Mythology; the lament of the heartbroken princess Deidamia, who was abandoned by the hero Achilles, when he joined to fight the Trojan War. 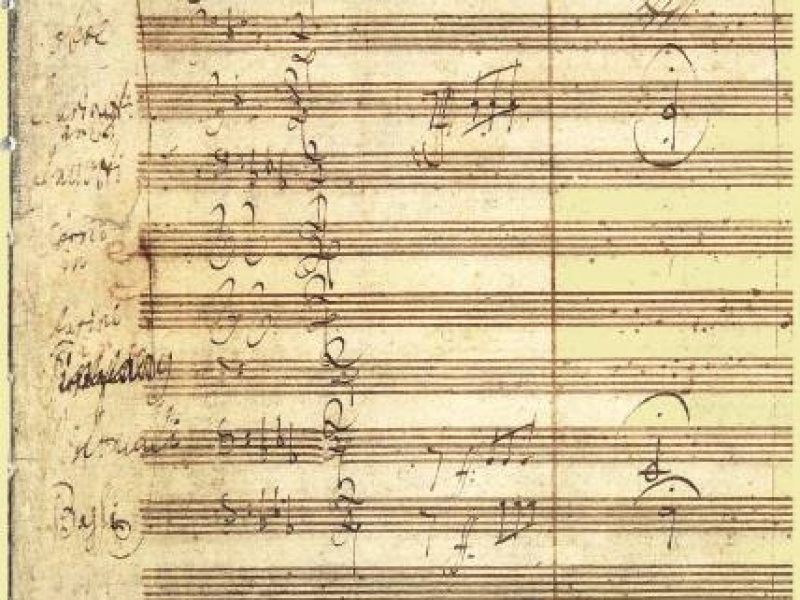 The movements from the Mass in C – all hymns of praise – reflect Beethoven’s religious side. Knowing that Beethoven firmly believed in the manifestation of God in nature, these movements definitely have a link with the Pastoral Symphony. Apparently the audience that gathered on December 22, 1808 in a freezing cold – and unheated – Theater an der Wien, felt slightly less enlightened by Beethoven’s music. The most important reason was the bad performance. 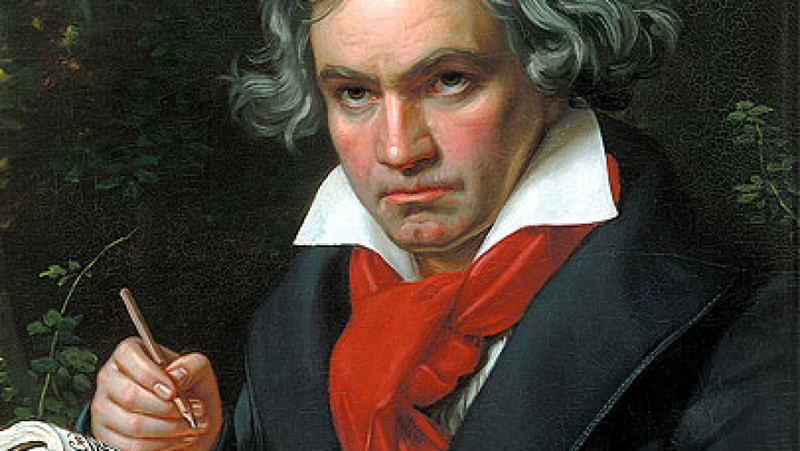 Beethoven’s music was clearly beyond the technical capabilities of the musicians in the orchestra, who were not exactly helped by the poor conducting and playing of the almost completely deaf composer. At one point they even had to stop and start all over again. But things do change. The fact that in present times many orchestras have reconstructed Beethoven’s ‘Akademie’ proves that the powerful message this seemingly mad concert programme conveys after more than two centuries still works its magic on audiences today.